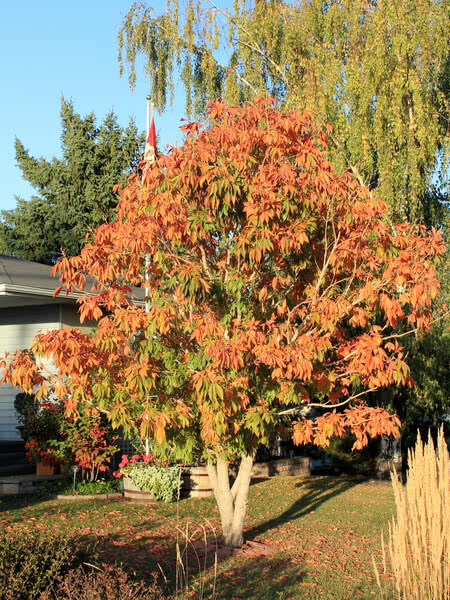 Ohio Buckeye is a medium sized deciduous tree. If you are looking for a shade tree, Ohio Buckeye's dense canopy of unique leaves can provide it. 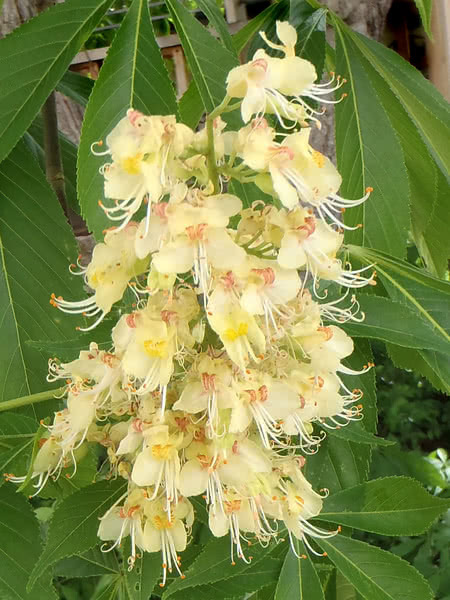 Named after its fruit, an inedible nut enclosed in a prickly husk, Ohio Buckeye also features green-yellow flowers and long, broad leaves that turn brilliant red in the fall. Slow growing, but an extremely attractive tree. 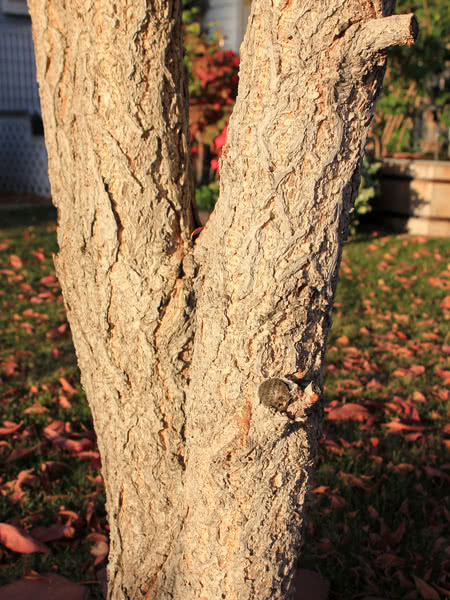 Find out what experienced horticulturalists already know: this tree is a gem.